My Granddaughter loved this one. 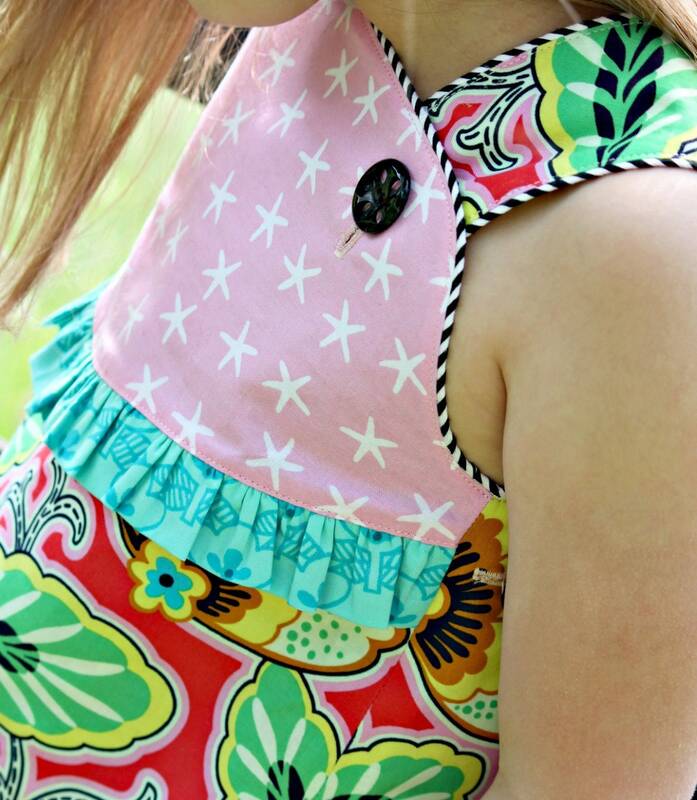 The Daphne Wrap Dress and Top is the perfect casual wardrobe essential for your little one. It is a semi-fitted, A-line, wrap dress that is fully lined, wraps around back and is secured with two buttons in back and two buttons in the front. 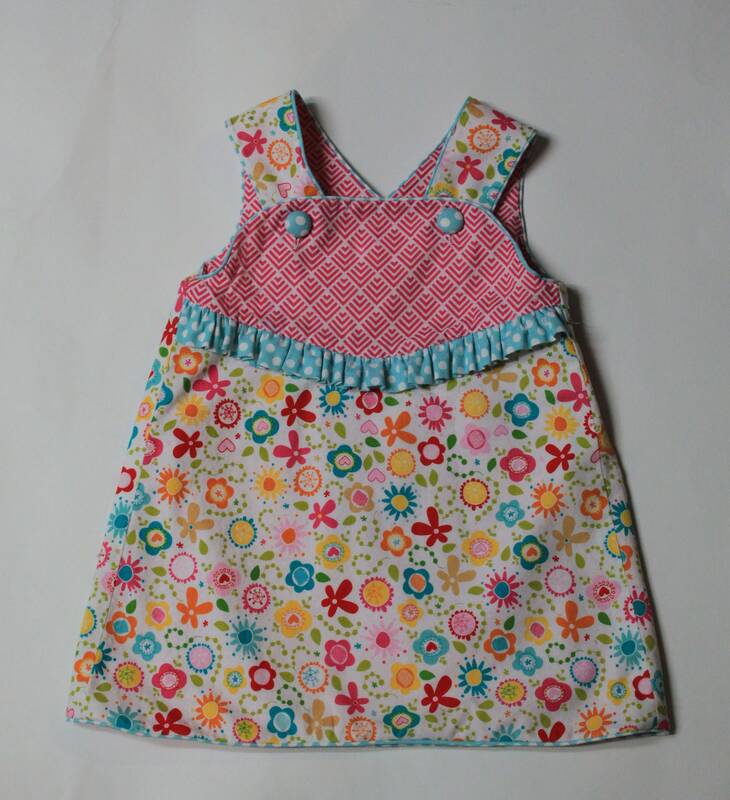 View A can be made as a dress or top and has a pieced front with a curved yoke and an adorable ruffle or piping added into the seam. Optional piping trims the entire dress for amazing attention to detail. 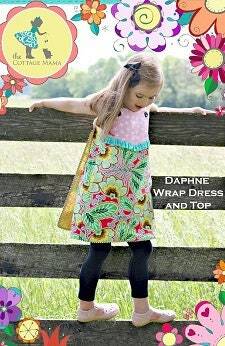 View B, the Daphne pocket dress, has a solid dress front with a sweet kangaroo style pocket. And View C, is the solid dress variation, which can easily be made reversible with the addition of more buttons or snaps on the lining. View C can also be cut as a top for perfect pairing with pants or capris. 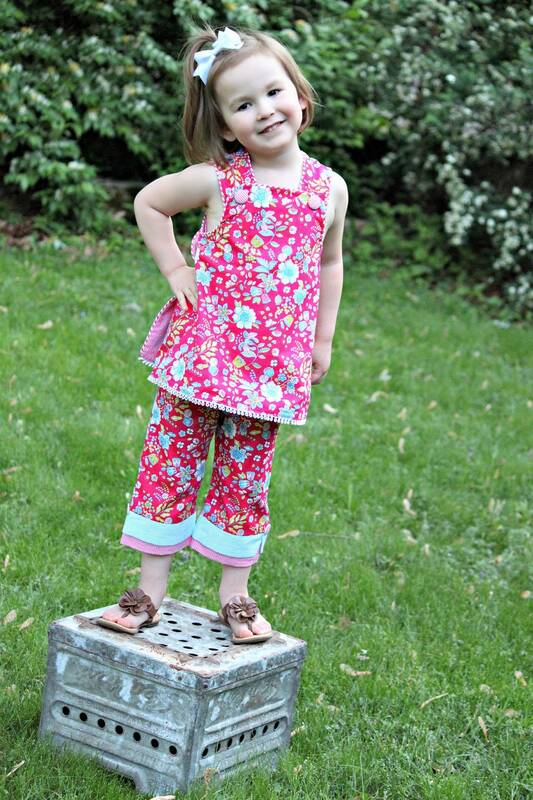 All design variations are fully lined with contrasting fabric for total comfort for your little one. This is great pattern for confident beginner sewers and offers many ways to get creative with your design! 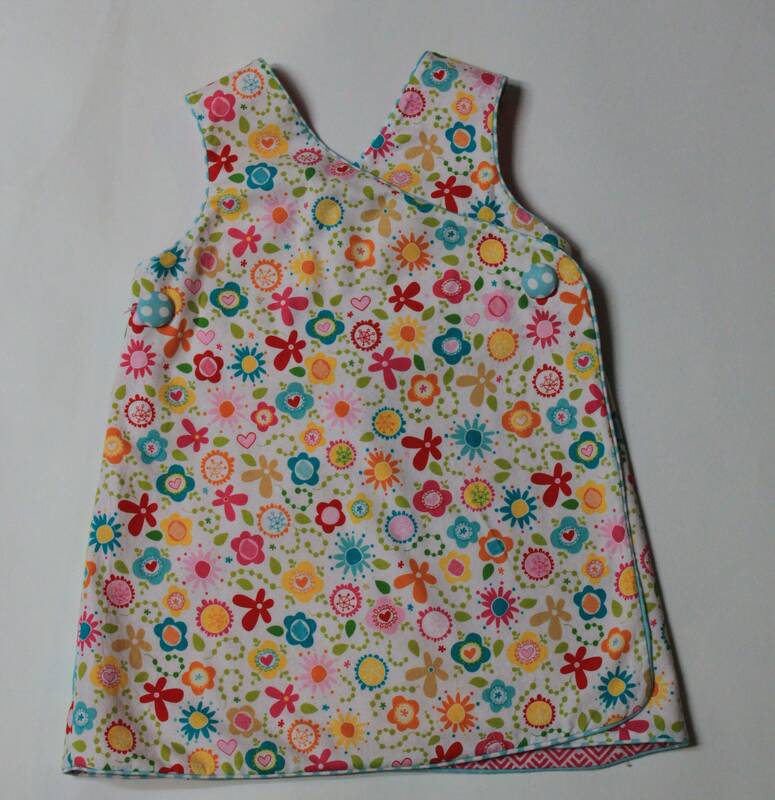 Pattern includes full-color front and back cover as well as detailed step-by-step instructions with color photographs. 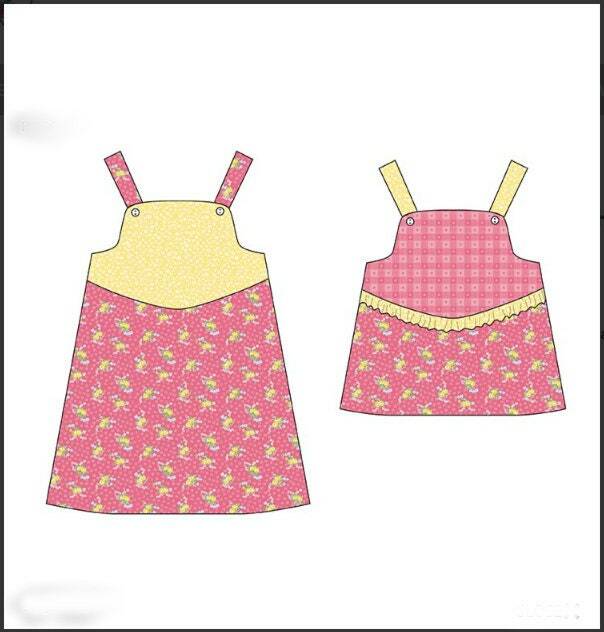 Instructions are in high-quality booklet form, full size pattern sheets are included as well.